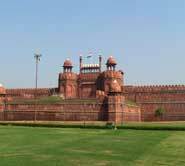 Morning after breakfast sightseeing tour of old and New Delhi visit Red Fort, Jama Masjid, Raj Ghat, Shanti Van, Qutub Minar, Humayun's Tomb and India Gate. Drive to the Neemrana Fort Palace that offers a majestic atmosphere to relax and to enjoy panoramic views of the landscape. Explore the countryside and watch the fascinating life-style of rural India. 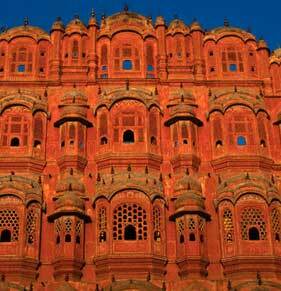 Later explore the Pink City and visit Hawa Mahal, City Palace and other monuments of historical importance. 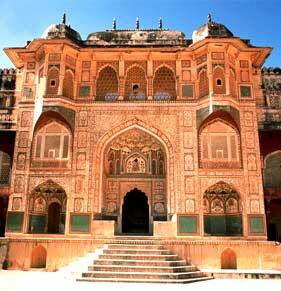 Enjoy an excursion to Amber Fort and later explore the crowded and colorful bazaars of the city. 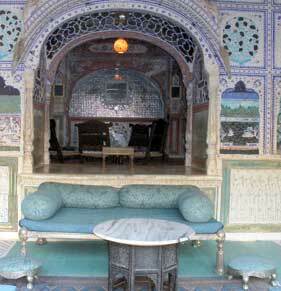 Drive to Samode Palace that is reputed as one of India's most romantic hotels. Rest of the day at leisure. Leave for the ancient town of Karauli by surface. On arrival explore the local bazaars that offer exclusive handcrafted items and colorful bangles. 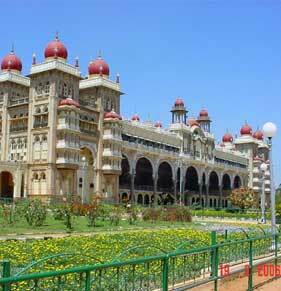 Begin your encounter with the fascinating flora and fauna of India. Drive to Ranthambore National Park and on arrival enjoy an afternoon jeep safari. Spend the day exploring the park and in search of the tiger. 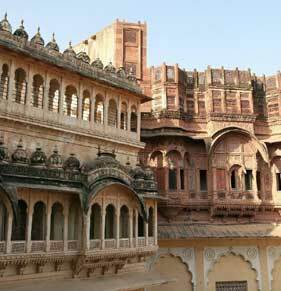 You can also visit the Sawai Madhopur Village for capturing the colorful pictures of rural Rajasthan. 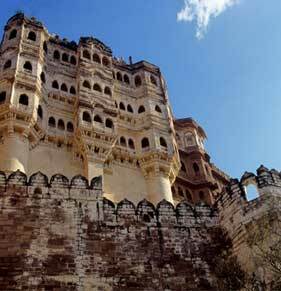 Embark on a tour to Kota and on arrival enjoy a tour of the city. 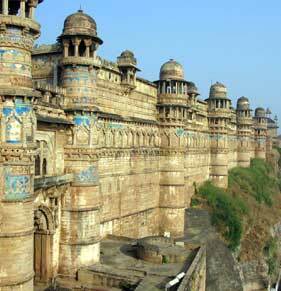 It will include visits to the fort, Chambal Garden, Maharaja Madho Singh Museum, The Government Museum and countless other monuments. Drive to Deogarh today in the rural Rajasthan. Spend the night in the Castle, which is now converted into a hotel. In the morning leave for Jodhpur and on arrival check in the hotel. Later afternoon explore the fascinating destinations of the city inlcuding Umaid Bhawan Palace. Travel today by road to quite village of Ghanerao and stay at the rustic palace Hotel. Rest of the day is free is absorb the splendors of village life at its best. 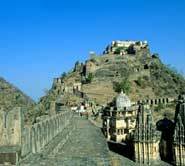 This morning drive for an hour to arrive at Kumbhalgarh and on arrival explore the splendid Kumbhalgarh Fort. 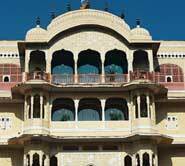 Spend the night in Aodhi, a heritage hotel where you will also have the opportunity to ride a Mewar horse. 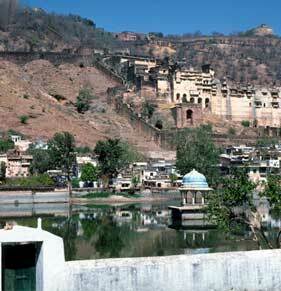 Drive to Udaipur and on arrival check in and later drive around the Fatehsagar Lake. 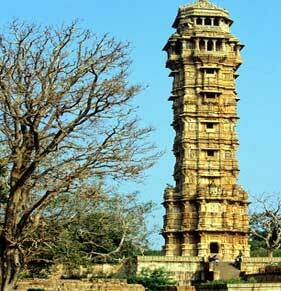 Visit Sahelion-Ki-Bari, Maharana's Palace and many other monuments. Enjoy a two-hour boat ride on Lake Pichola visiting many bathing and washing ghats. Rest of the day is free to absorb the beauty of the city on your own. In time transfer to airport to board flight for Mumbai. No hotel accommodation envisaged in Mumbai. Transfer to international airport enable board flight for onward.